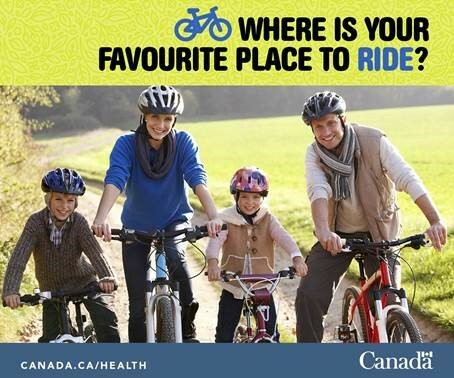 Spring is here… a good time to integrate active transportation into your daily life! Did you know that active transportation such as cycling, walking or taking public transit can significantly contribute to an active lifestyle? Active transportation, in addition to giving us an opportunity to be physically active on a regular basis, also reduces road congestion and contributes to reducing greenhouse gas emissions. Physical activity plays an important role in your health, well-being and quality of life. Click here for more tips on active transportation.